Pale Waves add four more tour dates, and members of Gaslight Anthem and the Scandals announce new project. Watch a new music video from Blood Youth—plus, don’t miss Cancer Bats on tour. Check out the news you might have missed today below! Announcing the Panic Vertigo Tour with @Badflower & @dealcasino_. The Wrecks announced they will be hitting the road come this November. The band will be joined by Badflower and Deal Casino. Tickets will be available this Wednesday here. Check out a full list of dates below. 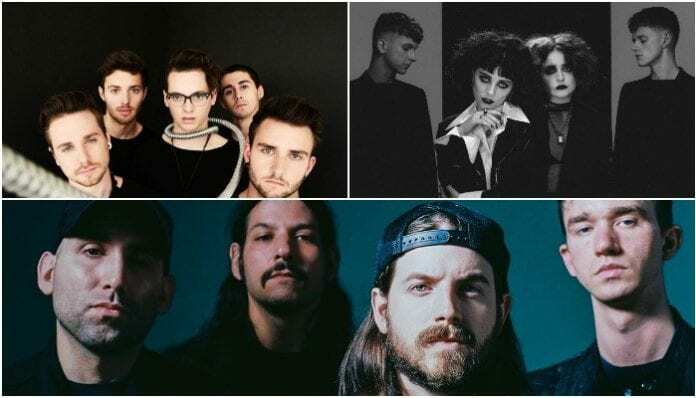 Pale Waves announced they will be adding four more U.S. dates to their tour this fall. Check out the full list of dates below and pick up your tickets here. New Jersey rock band Mercy Union announced a debut album titled The Quarry. Mercy Union are composed of members of the Gaslight Anthem and the Scandals. The Quarry will not be available until Oct. 19, however, you can preorder your copy of it here. Blood Youth just dropped a very dark music video to go along with their new song “Starve.” The song is the first taste of music since their debut album Beyond Repair. Cancer Bats announced a co-headlining Canadian tour with the Flatliners. The tour will also feature Heart Attack Kids. Check out a full list of dates below and pick up your tickets here.